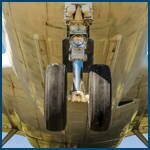 Airport Mechanical can take care off all your Automotive Service Requirements. We take pride in offering A GRADE Mechanical Repairs and can look after ALL MAKES & MODELS. We are also able to provide Motor Vehicle Inspection Services & Safety Certificates. Call Us To For Personalised Service For your Vehicle.